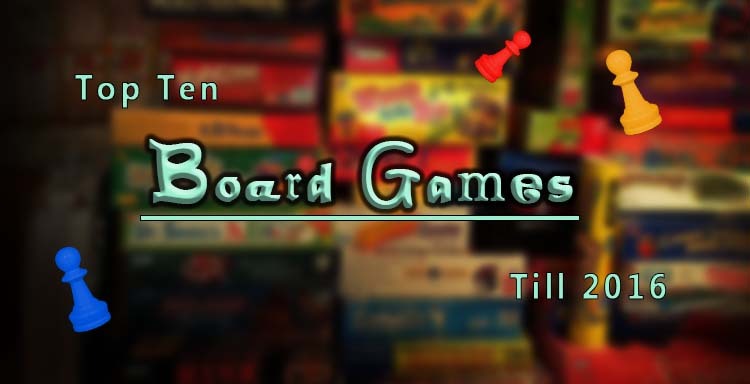 Today we’ve got board games to show you! Some might seem simple or too childish, but trust me when I say that it will not be the games’ fault you laugh constantly in the next couple of days. I personally think board games are meant to strengthen the friendship between you and the other players. Making jokes, bragging on how cool you are, acting in a particularly funny way, these are the real benefits of trying out such games with your friends. Plus, they are perfect for parties, blackouts and the occasional time when your videogame library just isn’t tempting. Talk about a game so simple it’s the next level of Tic Tac Toe. The point of the game is to place four of your colored disks in a line, but you can only put one disk every turn. It makes you think ahead, simple to restart and you can even make a pen and paper version as well. Hang in there. We’re just getting started with the list. It’s a “break the code” style game. One player invents a short sequence out of the 7 colors at his disposal. The other player has to guess what the correct combination is in order to win. You will get bored of this pretty fast but it can be even more fun if the “mastermind” gives hints or references. Let’s try something for all you Whovians out there: Think of the 4th Doctor’s scarf. Try figuring out the colors of the code now. You can play this for hours and still find clever stuff to spell out. Make as many points as you can with the most expensive letters you receive. Your vocabulary needs to be pretty sharp to get ahead in this game but there is still fun to be had. For a cool design, it’s a very simple game and one that can be finished reasonably fast. You gather points, fight aliens and watch the TARDIS go round and round. If you are in the mood for a board game and a time traveling experience, look it up. What list on this earth doesn’t have Chess in it? If you don’t know how to play the game, I can’t help you there. It would be a wall of text instead of a top ten. My advice is to try and learn it, at least at a beginner level. I would love to play this game more often. My skills on this game aren’t even near to those of my bro. If you are a sky person or you know a person that isn’t much of a social butterfly, try to play this game. You need to mime, draw or elaborate on an idea or element. For example, try and mime a magnet generator or international peace meeting. It is hilarious to play with friends that have a lot of imagination. I will try and describe it without spoiling the next games in the list. The game places us in a haunted mansion. One player, who is a ghost, offers vague dreams to the other players. In turn, they need to guess where the murder took place, with what weapon and who the murderer was. It is very similar to another game but I will get to it in a short while. MONEY!!! Yeah, you can’t really start a review of it without mentioning how much money and how much is exchanged between the players. Try and buy properties, collect taxes, mortgage your land and try to not go to jail (something I had a lot of trouble doing in the game). My advice would be to get a Monopoly board with a theme that you like. Trust me when I say, there is a theme for you out there: Back to the Future, Harry Potter, Game of Thrones, Jurassic Park, Pokemon, TMNT, etc. This is a brilliant game that will make a proper Sherlock Holmes out of you. Similar to Mysterium, you need to uncover the missing evidence of a murder: The criminal, weapon and the scene of the crime. The more players there are, the harder it gets. Keeping track of your cards and remembering all the questions/answers said by the other suspects make this a really thrilling detective board game. As simple as it is beautiful. A mostly card based game with incredible artwork and simple rules. The “Storyteller” picks a card from his hand and says a word (or expression). The card must contain an element mentioned by the player. The other players must select a card from their own decks and place it over the first. After shuffling, you need to guess the Storyteller’s card. The artwork is cute, fantastic and filled with symbolism. You can go anywhere with this game, and I love that about it. What are YOUR favorite board games? Leave a comment, maybe I haven’t played the ones you suggest!